Child Therapy can be very helpful when one or more of your children is experiencing challenges such as behavior problems; emotional difficulties; ADHD; impulsivity and other developmental issues. Our experienced staff of Child Psychologists can handle any of these situations with sensitivity and competence. We use play therapy for younger children and other age-appropriate modalities for adolescents to help them express what’s really going on in their hearts and minds. Family Therapy is a wonderful treatment modality for families who are experiencing ongoing difficulties in relationships between parents and children; between siblings; and/or between members of blended families after a divorce and remarriage. Also, it is common for one member of a family system will act out the dysfunction present in the larger family or will display feelings and/or behaviors that the rest of the family is unable or unwilling to express. In these instances, Family Therapy is an invaluable modality for helping the family to understand the entire system of relating that is occuring and not scapegoat any one family member. 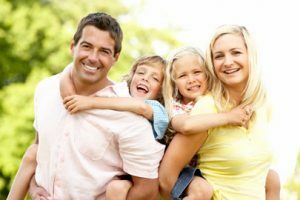 After engaging in Family Therapy, families often have a deeper appreciation for the roles they all play in the larger system they live in, and understand how and why each family member chooses to act in the way they do. Child Therapy or Family Therapy at the RELATIONSHIP INSTITUTE can be done with either a male or female therapist.